It’s not always talked about, but things like the chair you are now sitting in was poured over for hours, if not days, by a product designer. This person’s job is to create the perfect chair for the end user; you. Everything about the chair was meticulously thought out, drawn, measured, erased, drawn again, sculpted, printed, and eventually assembled for an actual human. Absolutely everything was considered. What color is the chair? How are the legs shaped? How does the chair conform to the user’s body type? How high off the ground is the chair? Sometimes it’s hard to visualize but almost everything in our lives has been designed. Design is not just about pretty colors or nice layouts. Design is about people. It’s about improving people’s lives in some small way when they interact with your end product. That’s why, over time, whenever we use a book, a computer, a website, or even an app on our phones, each product makes us feel something, no matter how small. Design is important in everything, even in public health. Many things can be improved by design in the realm of public health. Logos of trusted brands can be developed to be more attractive, trustworthy and approachable. 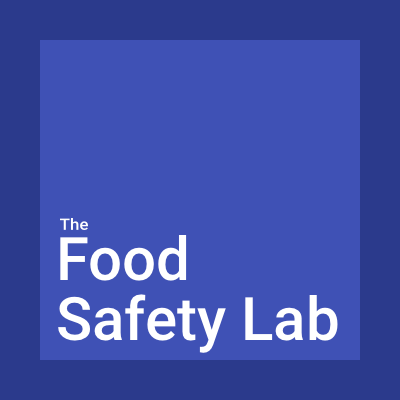 Apps can be designed to be more appealing to a wider audience, empowering a food safety app to save even more lives just because it’s easier to operate! Design, itself, does not improve the public health or save people's lives, but it can help support the people that do. The Lab, a tool for public health interaction and discovery, has evolved through many different iterations. From its concept to version 3.0, it has changed drastically. The Lab started as a one-page website, splattered with a few blue elements on a white canvas. There was nothing on the website except for a not-so-engaging blog and a 'contact us’ section. The Lab moved to version 2 with a new purple color and a larger, more fleshed-out website. As the site continued to grow, so did its bad design. The Lab needed to be rebuilt and it now has a more cohesive visual style with version 3.0. This helps the Lab to be more engaging, memorable and improves the user’s experience when interacting with the site. Since this design change was made, we have experienced hefty growth in our user base (up 155%) and a generous reduction in the site’s bounce rate (the number of users who leave the site after viewing only one page). The number of site visits per week has grown by 78%, our average session duration has increased by almost a full minute and we’ve added 6 new bloggers to the team for a total of 16! With the help of design, the Lab has expanded tremendously in just the past 2 months and has even enabled new ideas like the Portal! Design is a great thing. But design isn't magic. Design does not cure disease or prevent foodborne illness. It can’t teach FSMA principles. It can’t create a restaurant’s health policy for them. However, used correctly, design can improve the experience of a website user, boost the readability of a recall alert, and even help support the amazing people in this world that strive to improve the lives of others.